Dirty River - Purple Dreams. 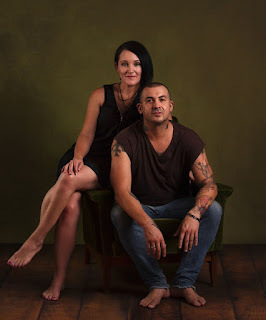 Background - Alternative, eclectic country duo Dirty River formed in 2012 around the talents of singer/songwriters Lea May and Jimi Dobbs. Lea was working as a solo artist and needed a fuller sound. Jimi was also searching for something different, having played in bands and solo for more than 20 years. Somehow their voices found each other and it was inevitable that this was the beginning of something that needed to be heard. This dynamic duo are passionate storytellers who have only just begun to tell their story. 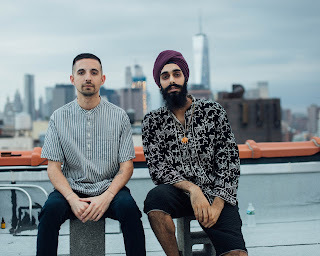 Their new single, ’Purple Dreams’, is ultimately a love song that depicts the story of two people desperately searching for a kindred spirit who has the ability to love honestly and see them for who they truly are. Spiral Stairs - Dance (Cry Wolf). 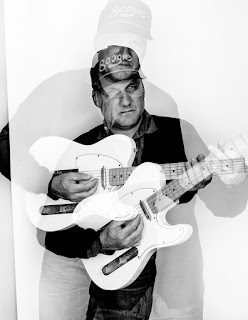 Background - Spiral Stairs (Pavement's Scott Kannberg) will release his second album under that name, Doris and the Daggers, on March 24 on the Nine Mile label in the US, on Domino in Europe and on Coolin' By Sound in Australia / New Zealand. This week he has shared the first single and video from the album, "Dance (Cry Wolf)". The video stars Jason Lytle of Grandaddy who plays the part of Spiral Stairs in the video. 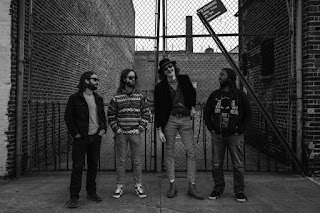 The album features guest appearances from Matt Berninger of The National, Broken Social Scene's Kevin Drew and Justin Peroff, Kelley Stoltz and Shudder To Think's Adam Wade. Spiral Stairs has also launched a Pledge Music campaign where fans will have the option of buying archival Pavement and Preston School of Industry merch and memorabilia (or a DJ set, private show, trip to IKEA or a round of golf with Scott) along with their pre-order of Doris and the Daggers. 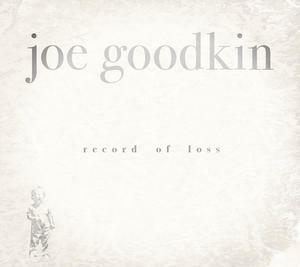 Joe Goodkin - Never Come Back. Background - Joe Goodkin’s musical career took an unusual turn when he wrote a thirty-minute adaptation of Homer’s “The Odyssey” for voice and guitar. For years now he has been a travelling bard performing this piece all over the country. It’s the same ethos that has worked its way into his trinity of EPs, starting with Record of Life and now continuing with Record of Loss. If you’re unfamiliar with Record of Life, the 6-song EP is an extremely personal record—sorrowful, profound, and a reminder of the human condition. It’s a visual record in that his lyrics provoke powerful imagery and have you examining your own life in the process and taking comfort in the fact that you aren’t alone. Greg Graffin - Making Time. 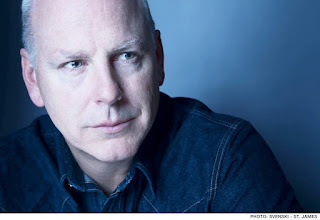 Background - Greg Graffin, frontman of the iconic Los Angeles punk band Bad Religion as well as a renowned author, will be releasing a brand new solo album entitled Millport this March 10th via Anti- . Millport delivers a stirring though perhaps unexpected reinterpretation of the classic Laurel Canyon country-rock sound alongside Graffin’s insightful lyricism, all propelled by some esteemed colleagues from the LA punk scene including Social Distortion members Jonny ‘Two Bags’ Wickersham, Brent Harding and David Hidalgo Jr., with Bad Religion co-founder Brett Gurewitz producing. The resulting record is less a reinvention then a creative liberation - a group of Los Angeles musicians at the peak of their game, playing a brand of music they genuinely love. Background - Plastician’s Terrorhythm imprint have been breathing plenty of life into the mutated, hybrid club sounds emerging from both UK and US beat-makers over the past two years, crucially spotlighting producers like Ganz, AWE, Patrick Brian and JD Reid for the first time. The latest name to emerge from the camp, Klasey Jones, has been bubbling under for the past year, with his tracks earning heavy rotation on Plastician’s Rinse FM show in particular — itself often a valuable resource for those seeking a link between grime, drill and instrumental, cloud-wave rap. Jones’ debut EP — the widescreen, cinematic ‘Foreign Buyers Club’ — is a profound case in point, linking the above sub-genres with flashes of 80s synth music, anime OSTs and some genuinely one-of-a-kind sound design. No Monster Club - French Revolution / Life Is Flashing Before Your Eyes (Aardvark - Blessing). 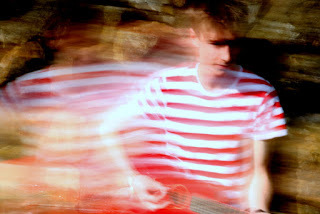 Background from Bobby Aherne of No Monster Club - I'm here to tell you about the 'Encyclopedia Project' that I have planned for the foreseeable future: On the first of each month, I'll be releasing a new single (consisting of two songs) that'll be available for free download - or as 'pay what you like', should one be willing to throw some change into the virtual tips jar. The first instalment arrived on January 1st, containing one new song and a cover of an amazing Vince Collins song from 1984. As I'll be utilising an alphabetical, encyclopedia-based naming scheme, issue #1 is entitled 'Aardvark - Blessing'. Background - No Plan is an EP by English musician David Bowie. It was released posthumously in digital form only on 8 January 2017 through Columbia and Sony, coinciding with what would have been Bowie's 70th birthday. The songs "No Plan", "Killing a Little Time" and "When I Met You" first appeared in the Broadway musical Lazarus and were originally recorded during the Blackstar sessions. All songs on the EP had already been released in physical form on the Lazarus: Original Cast Recording CD and LP in October 2016. The release was accompanied by a music video for "No Plan".